The meticulous attention to his surfaces and forms enable the totality of his work to reach both a traditional and contemporary audience. "Jim Keller is a Texas based artist that works in wood, cast bronze and stainless steel. 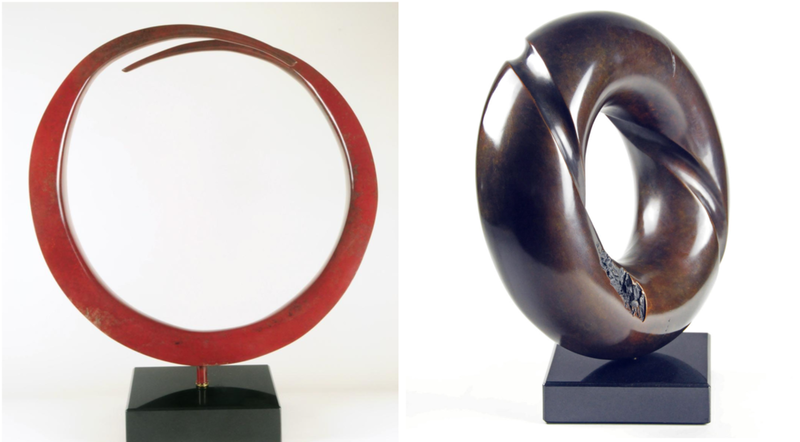 His path to now started with a strong fascination in the wheel that has now been applied to his technique with his turned wood, stainless steel and bronze sculptures. Over the last decade Jim has surfaced as an artist creating beautifully designed gestures that capture the past and that are built for the future. " 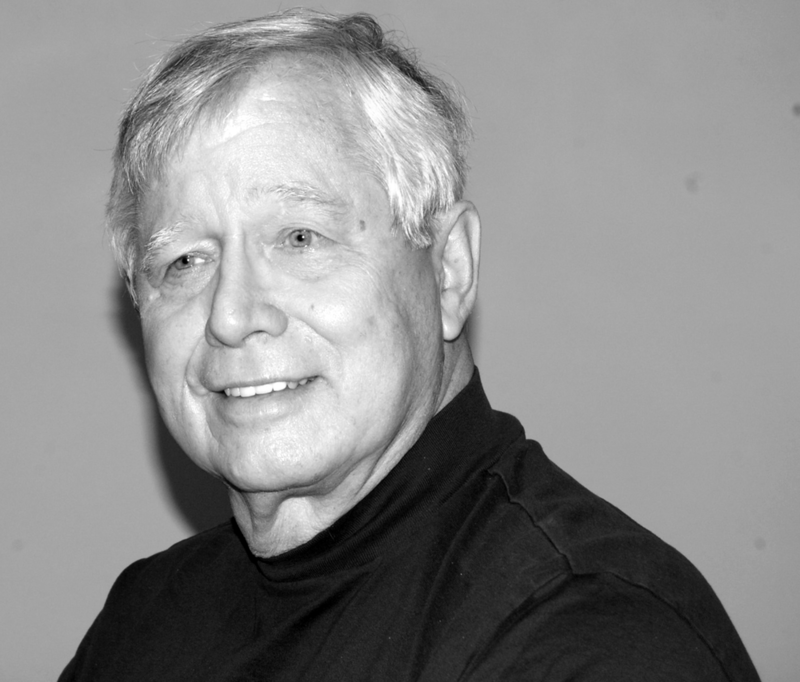 After a 42 year career as a civil Engineer, Keller has enjoyed the creative freedom of working as a full time artist. 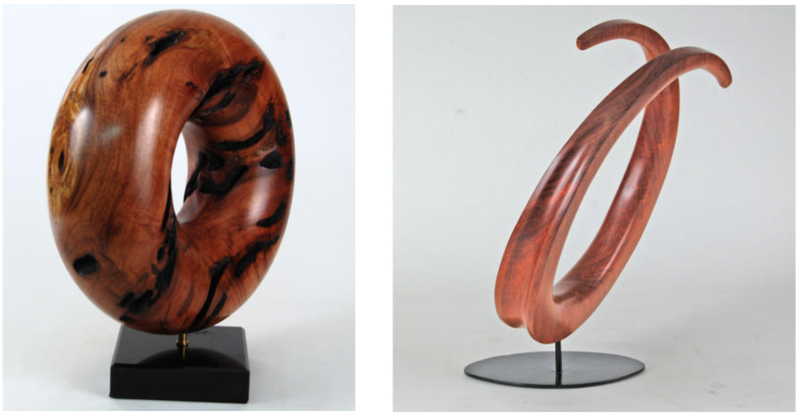 For 22 years Keller's artistic efforts were limited to creating sculptural objects on a lathe. In 2012 Keller began casting in bronze, making molds from wood sculptural objects he created. Keller is now working in wood, foam, metal, resin and clay to create original sculptures. Keller's skills in working with a multitude of materials gives him a great deal of flexibitlty in his creative efforts. Throughout my lifelong love of wood I have evolved from a carpenter to woodworker, to a woodturner and finally to a sculptor. I was introduced to wood turning in 1991, and found the concept of creating objects with fair curves and flowing lines a plesant diversion from my everday engineering practice. My goal as an artist working on a lathe is to combine the circular form, fair curves and drama with the character and natural beauty of the individual piece of wood to create a unique sculpture. I am always looking for unique pieces of wood that will allow me to develop an interesting design for a sculpture. Wood is a very tactile medium. I have enjoyed watching someone caress a piece of my sculpture, this expression of connection between my art and the admiring public is a source of great personal joy for me. After seeing the work of stone sculptor Jesus Moroles, I was inspired to investigate the wheel form. I titled my first wheel sculpture, "Evolution of the Wheel". Little did I know at the time that this would be the start of a series of over one hundred objects in which I have explored the wheel form. At the urging of a friend I took a foundry course and in 2012 I began casting my sculptural objects in bronze. This resulted in a refocusing of my creative energy, I did not realize how limiting working on a lathe had become. I started looking at materials other than wood to create original sculpture as well as thinking outside the dimensional limitations of the lathe. I am now working with wood, foam, resin, metal and clay. I am casting my sculptural objects in bronze and stainless steel and pursuing monument scale projects. As a sculptor, when I am working with wood the form I create is a picture frame to display the natural beauty in that piece of wood. Working in multiple mediums provides me with a great deal of flexibility in developing sculptural objects. Each day as I enter the studio brings a sence of excitement as I have the opportunity to pursue different and challenging paths in my creative adventure as a sculptor. "A Journey in Contemporary Sculpture with the Work of Jim Keller"
2014 Craft Texas 2014, Houston Center for Contemporary Craft, Houston, Texas - jurors; Carol Sauvion, creator of PBS serirs, Craft in America, Piero Fenci, Stephen F. Austin University, Ceramics Department Head and Clint Willour, Curator of Galveston Arts Center, Galveston, Texas, Recieved the Award of Execellence. 2010 Craft Texas 2010, Houston Center for Contemporary Craft, Houston, Texas - jurors - Gail M. Brow, Independent curator of Contemporary Craft, Philadelphia, PA, Cindy Hickok, fiber artist from Houston, TX and Paula Owen, President of the Southwest School of Arts and Crafts, San Antonio, TX. 2009 Craft Forms 2009, Wayne Art Center, Wayne PA. - Juror- Bruce W. Pepich, Executive Director and Curator of Collections at Racine Art Museum. 2009 Turned to the Future: a Fresh Look at Wood Art, American Association of Woodturners, Special Exhibitions Committe, Grovewood Gallery, Ashville, NC. - jurors Anne Carlano, Director of Craft and Design, Mint Museum; Arthur Mason, collector; Gretchen Keyworth, Director of the Fuller Craft Museum; Brent Skidmore, Director of the University of North Carolina, Asheville Campus and Sherry Masters, Grovewood Gallery. 2004 Tree of Life Exhibit, Wood Turning Center, Philadelphia, PA. - Juror Albert LeCoff, Executive Director, Wood Turning Center. 2004 Craft Houston 2004, Houston Center for Contempory Craft, Houston, Texas - juror Lawrence Riner, Curator Whitney Museum of American Craft. 2003 Craft National 2003, Houston Center for Contempory Craft, Houston, Texas - juror Lloyd Herman, founding Director Renwick Gallery. 2001 National-Open Exhibit, Long Beach Arts, Long Beach California - juror Jen Gray, Professor CSULB. 1998 Open Show, Art League of Houston, Houston, Texas - juror Bert Long 1998 Texas Artist of the Year. 1998 Materials + Form 5, Art League of Houston, Houston, Texas - jurors Mary Rogers & Roger Detheridge. 1998 93rd National-Open Competition, Long Beach Arts, Long Beach, California - juror Anne B. Ayres Curator, Director of Exhibitions Ottis College of Art and Design. 1997 The Art of Craft, Long Beach Arts, Long Beach, California - juror Adrian Saxe, Professor of Art UCLA.